Let me ask you this, when do you feel proud of yourself the most? 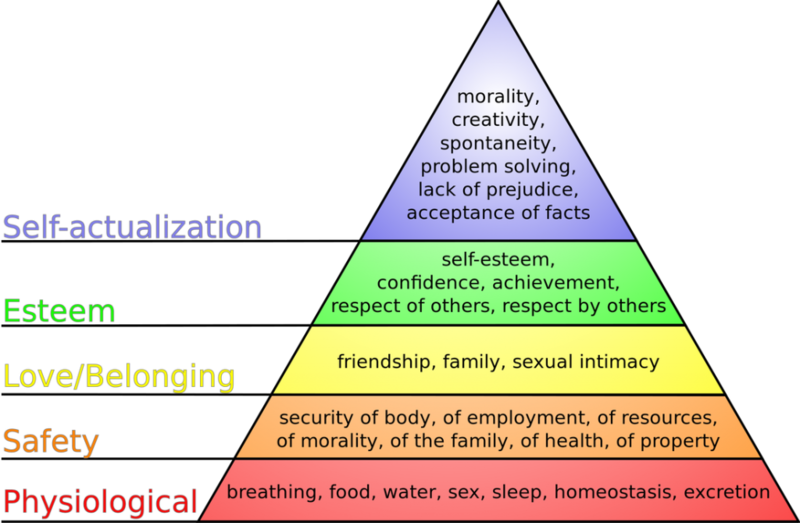 My point is, whatever level of Maslow’s hierarchy you are in, setting your goals, removing your blocks and satisfying your needs will move you towards self actualization and life purpose. Create self fulfillment, self satisfaction and boost your self esteem. Squash out stagnation that leads to glumness, boredom and inevitably depression. Provide you with a sense of meaning, purpose and self actualisation. Inspire and enthuse others to reach their goals and improve their lifestyles. Lift your vibration and with that, joy and vibrance. You’ve got everything to win and nothing to loose! Let’s get goal busting! Which category needs enhancement in your life? 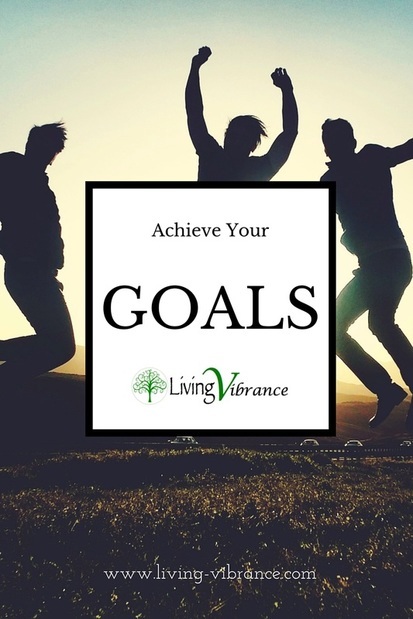 So now that you set your goal category, create and imagine the goal you want to attain. Create a clear image in your mind and visualize yourself doing or having your goal. This creates a clear intention throughout your whole being, you’d be surprised at how much your body attains and creates things for us when the intention is clear and you know what you want. If, for example, wealth is your focus, imagine looking at your bank account and seeing the amount on your statement. What situations will you find yourself in that you don’t have now? Make the image clear, give it colour, give it feeling. You also need to create a statement, with positive wording and in the present tense. Rather than “I am pain free” you want a statement like “I move freely and feel healthy and vibrant” and an image of you playing tennis or walking in a beautiful setting. Maybe your goal is of a growing business? A goal could be ‘My business and I, are flowing freely and abundant’, imagine a queue outside your place of work and a diary full of appointments. Obviously this will depend on your goal, will this be achievable within the next year or is this a long term goal? Make your timeline realistic so as to not put too much pressure on yourself resulting in burnout but don’t be fearful of it and push it into the distance. You want a nice flow that moves you forward and drives you. Now pick a date and write it down under your goal statement. I hope you’re getting excited now, you’re soon going to start manifesting! This is one of the very important bits! What do you have to do to get there? What needs to be eliminated and what needs to be enhanced? What steps do you need to take to get there? Break down your timeline and steps into manageable chunks. Write it down, make your step by step journey for the coming months and pin it on your noticeboard! Lets say for example your goal is to have $50 000 dollars in your account in one years time. Thats around $4200 every month. Minus expenses. How will you generate that? Will you invest in shares? Open a high interest savings account? Create a passive income source? What means will you utilize to spend less and save more each month? Maybe your goal is to remove your anxiety. Maybe start with some EFT and meditation techniques in the first month, then the second month you might join a yoga class. Third month could be to gently get yourself out there and interact in social situations. Whatever your goal is, create yourself some stepping stones that you can apply, achieve and get comfortable with. Step to your destination! You’d never give your house a makeover without first getting rid of the clutter. It’s just the same when you prepare an objective. Give yourself a spring clean and a fresh start to build your foundations on. Get rid of toxic people or set up boundaries, clear your debts and finish past projects. Whatever it is, clean up your surroundings so that when you’re at the starting line, your road in nice and clear and you won’t be carrying unnecessary baggage. Oh yes, there will be roadblocks somewhere along the way! When you reach those moments of stuckness, analyze the why? Are you uncomfortable getting out there? Do you have a fear of being successful? Is it a case of overwhelm? You may have a conscious or subconscious block that needs to be dissolved and shifted, if that’s the case, book in with your Kinesiologist, to get back on track quickly. ​Let’s not kid ourselves here, we all have issues and roadblocks and there is no need to be overly proud that you feel you need to do it alone. Personally, I see my kinesiologist every few months when I need a top up and also have an awesome and fun coach (Trudy Simmons from The Daisy Chain Group is AHA-MAZING) that keeps me on track when I feel like I’m swimming upstream. Whatever you do, do not, I repeat, DO NOT get stuck here! Keep moving forward! If you do, you will not only re-enforce the idea that your goal is unachievable AND feel like crap that you couldn’t do it. If you can get yourself unstuck great! Otherwise, get help from a pro. Just because you have your stepping stones and grand goal set up, don’t be afraid to adjust it and tweak it to improve and facilitate the process. Review what worked and what didn’t each time you complete and get comfortable with a new task. This will help you create a better system, identify and improve your weaknesses, as well as maximizing your strengths. A humble word of advice: Don’t forget to live, have fun and have hobbies! This is life, there are other things than one fixed objective, hobbies will keep you grounded and maintain a sense of fun, whatever happens. Also, celebrate your achievements! This will reinforce your determination and sense of satisfaction! Your goal should be determined but not rigid, if you have a hick-up, roll with it, it’s no biggie, it’s a lesson, it’s a challenge and it wouldn’t be interesting if it was easy. Feel good about yourself, you’re now moving in the direction you want rather than floating along! You should be feeling boosted and empowered rather than overdriven and eventually exhausted. I’m here if you need a boost, a sounding board or a strategy.